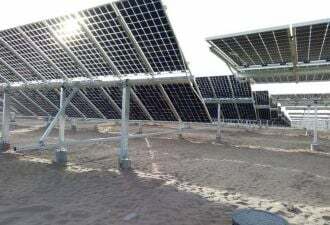 As the swell of corporations relying on renewables continues to grow, a new study shows that price remains the main motivator for businesses to close the deal -- but it’s not the only determining factor. The report, from Apex and GreenBiz Group, shows that corporations are considering more than the bottom line. Sixty-five percent of respondents said price was a leading factor in determining purchases. 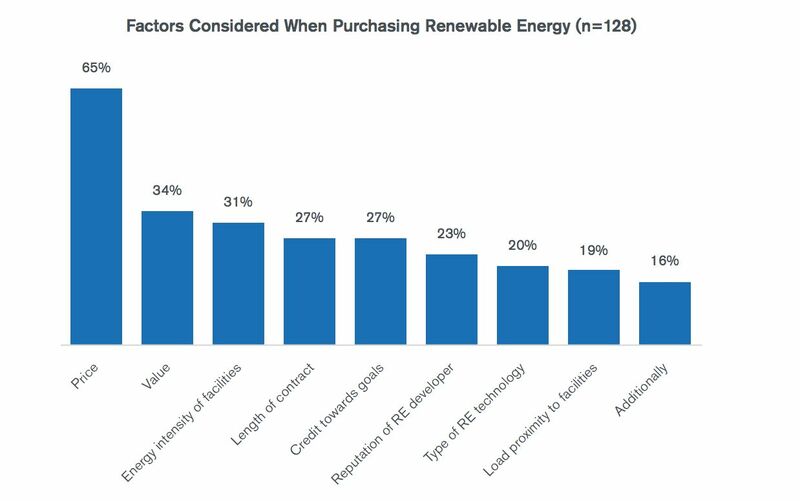 But the value of the energy, credit toward renewable goals and reputation of the renewable energy developer were all mentioned by over 20 percent of the 153 large corporate buyers that contributed to the survey. Of course, for many large companies, purchasing renewables does seem to make good fiscal sense. According to an April report, more than half of Fortune 500 companies have renewable energy targets. Among those companies that set the bar at 100 percent renewable energy, 61 percent are in the Fortune 100. The Apex and GreenBiz report reaffirms an increasing trend of growing renewable investment from the corporate world. Ninety-nine percent of the buyers interviewed said their company wanted to keep moving forward on purchasing renewables, or would become even more aggressive in their procurement. Energy and utility companies were the least likely industry to say their company would be more assertive in acquiring renewables in the next two years. Only 37.5 percent of those companies said they wanted to become more aggressive in purchasing renewable energy. The retail industry ranked as the most aggressive, with 70 percent of companies saying they would intensify their efforts in ramping up renewables. “Looking at the last five years, utilities have made up well over half of the offtake from our new clean energy projects," said Vavrik. "So when the report finds that non-energy sectors are the most likely to pursue a more aggressive strategy over the next 24 months, that may just be the younger corporate market catching up." He added that some of the interest stems from the fact that the retail sector now views sustainability as a way to attract talent. Boosting corporate interest in renewables beyond today's levels will require solutions like green tariff programs, which make it possible for companies to buy renewables through their utility. Corporations also need to do some more work internally. Per the survey, respondents said barriers were not monetary, but rather are often internal to the organization. Fifty-five percent of companies cited lack of company alignment, with issues such as snags in the approval processes making it difficult to boost a renewable portfolio. “As companies now look to move from commitment to action, I think they may want to take more time at the beginning to assess all the opportunities, to learn more, and also maybe to change their expectations about timing,” said Vavrik. “This isn’t a one-and-done operation. This may be a series of transactions and initiatives over a period of years -- and that’s OK."